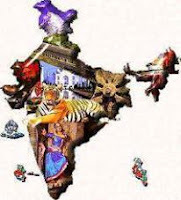 India GK Question Sample Paper 4: India General Knowledge (GK) Sample Question Paper No. 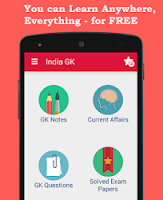 4 with Collection of India GK Questions under GK Quiz in PDF @ India GK Sample Papers. Q.111 Which country's first woman prime minister was Margaret Thathcer? Q.112 Which among following is not a "Maharatna" PSU under Govt. of India ? Q.113 विश्व का सबसे बड़ा लिखित एवं सर्वाधिक व्यापक संविधान किस देश का है ? Q.114 International Boarder of Rajasthan with Pakistan is known as ? Q.115. In which of the following is the Brahman the Central Theme ? Q.116. Who is the chairman of the Lok Sabha ? Q.117. The Moplah Rebellion broke out in ? Q.119 The concept of Avataravad is associated with ?